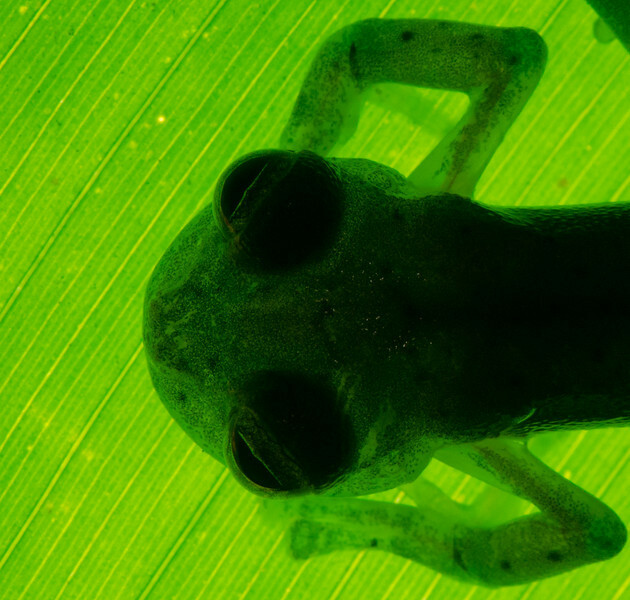 A gallery dedicated to the transparent treasures of the Neotropics: Glassfrogs (Centrolenidae)! A closeup shot of the Emerald Glassfrog (Espadarana prosoblepon). You can see the bones and circulatory system in the arms.